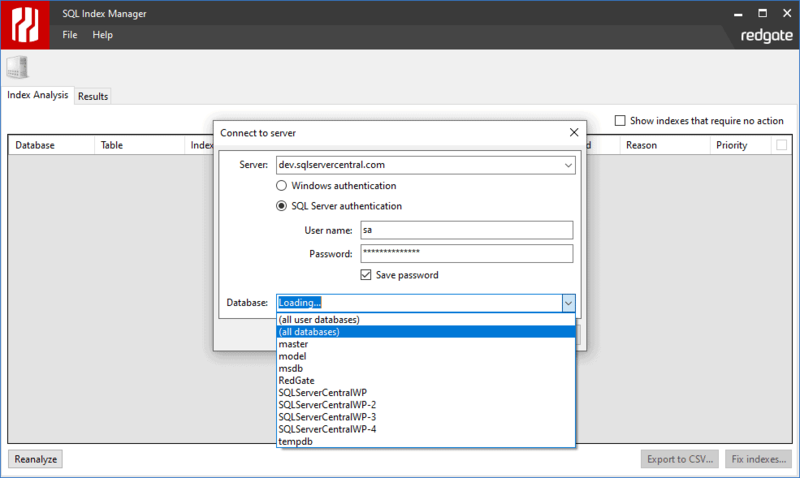 You can do maintenance through the UI, or generate a T-SQL script to run in SQL Server Management Studio. 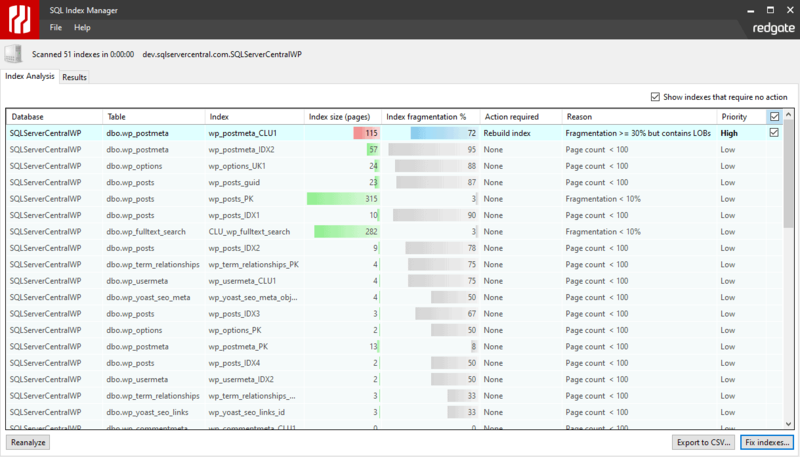 Detect index fragmentation: get a full report on indexes across your databases, including severity of fragmentation and the reasons for it. 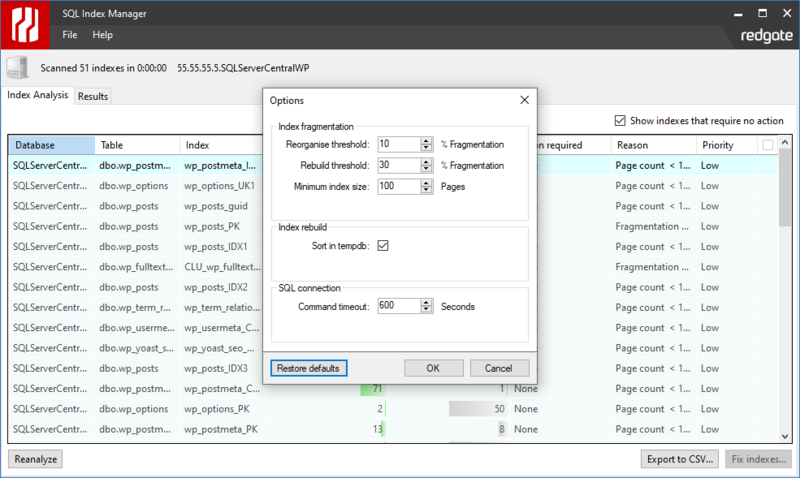 Fix fragmentation: choose which indexes to fix based on fragmentation severity – SQL Index Manager will perform the operation for you. Reorganize or rebuild: set which action to take, based on customizable rebuild and reorganization thresholds, and rebuild indexes online with SQL Server Enterprise Edition. Analyze over time: export the results of your analysis to track and report on fragmentation. 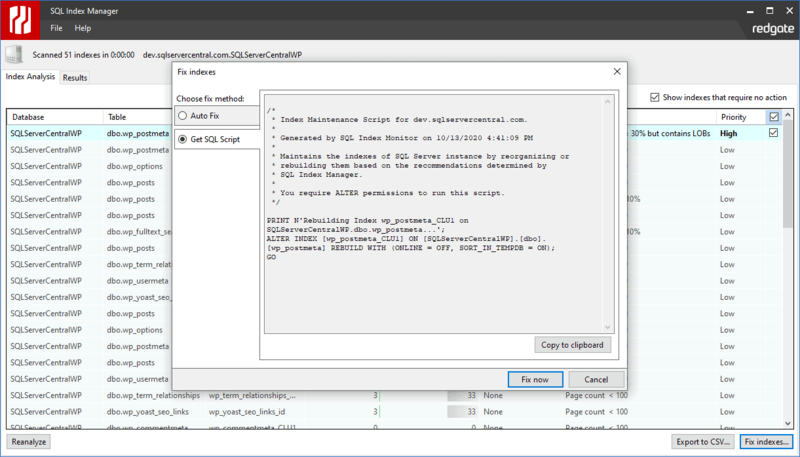 Generate scripts: automatically generate T-SQL scripts to fix fragmentation. Select your server and choose to scan and fix fragmentation on a specific database, all User databases, or all System databases. You can also see the total time taken to complete the fragmentation scan. See the suggested action, the reason for fragmentation, and the priority level for a fix. If you use SQL Server Enterprise, you can also rebuild your indexes online. 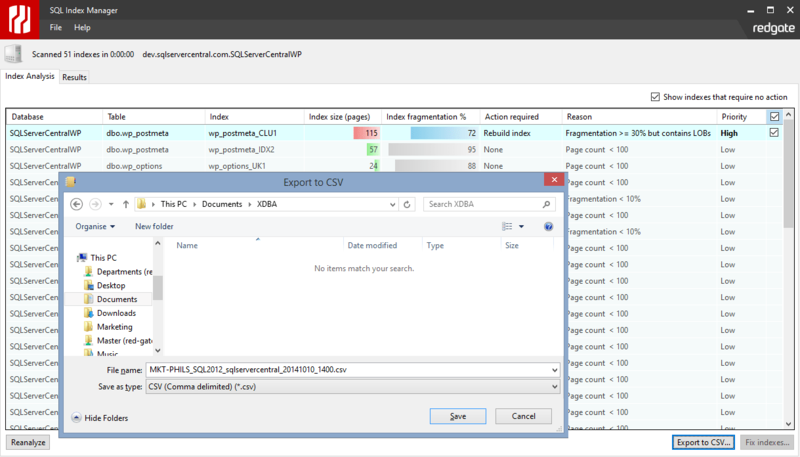 Export the results of the fragmentation analysis as a CSV file for reporting and analyzing fragmentation over time. You can specify what thresholds to report on for index fragmentation and size. 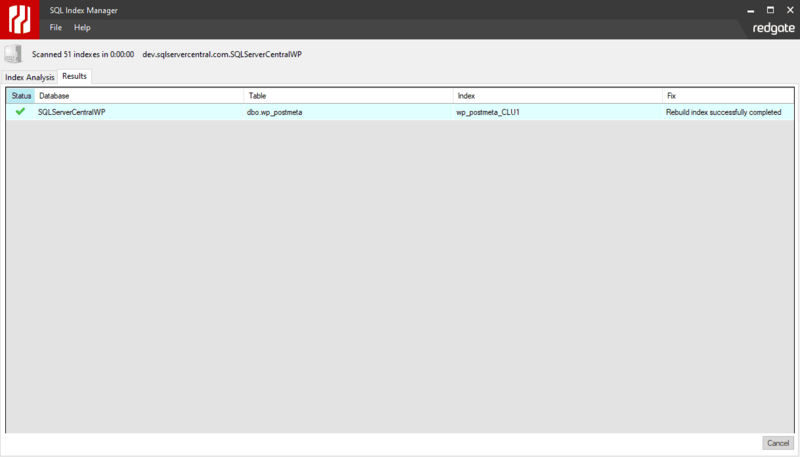 Just configure the option to 'sort in tempdb' and set the common timeout duration. Start rebuilding or reorganizing selected indexes with a single click. 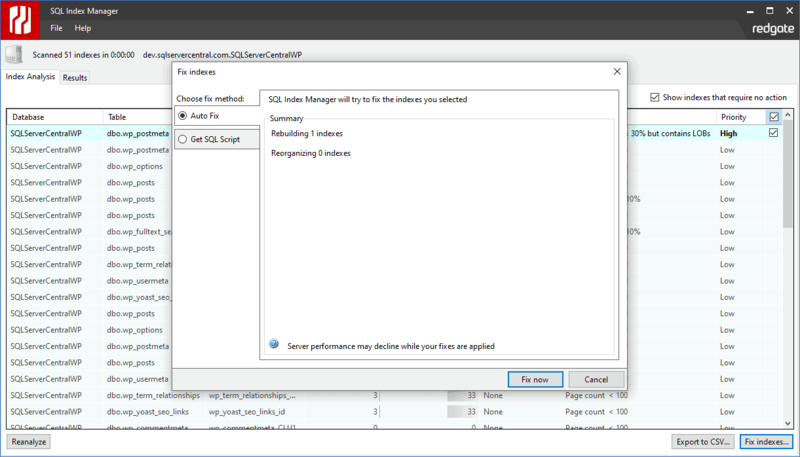 SQL Index Manager generates T-SQL scripts for use in SQL Server jobs to rebuild or reorganize your indexes. See which indexes SQL Index Manager has rebuilt or reorganized in real time.